Malaysia’s growth model must graduate from being a knowledge user to content creator, and volume producer to value-add exporter. MALAYSIA is involved in a myriad of trade deals and it seems as if the country is now spoilt for choice. Apart from the two on-going bilateral trade negotiations, Malaysia is actively involved in regional trade initiatives under the Asean Economic Community 2015 and Regional Comprehensive Economic Partnership (RCEP), as well as plurilateral free-trade agreement (FTAs) that are being championed by both the United States (Trans-Pacific Partnership, TPP) and US-Asean Expanded Economic Engagement) and China (the recently announced Asean-China FTA upgrade and the impending Free Trade Agreement of the Asia Pacific). Such optimism highlights Malaysia’s strategic importance in world trade but also one that underlies the country’s risk in backing the wrong horse. Ambitious trade negotiations can drain resources if they are not efficiently managed. Gone are the days when cross-border trade was less intense and governments faced no real urgency outside the multilateral process to address globalisation and structural reform. Having to negotiate many deals simultaneously will put a strain on the government’s budgetary, technical expertise and leadership constraints. A high-quality FTA, such as the TPP, is indeed a double-edged sword for Malaysia. After 21 rounds of negotiation and a countless number of inter-sessional discussions, the negotiation has proven to be a massive resource drag when deadlines are conveniently missed without having a concrete end in sight. Notwithstanding its potential economic advantages to Malaysia, should the government continue drawing more resources on the TPP when fatigue is slowly creeping up on the negotiators? More often than not, getting a mandate often means that officials have to endure a complex cross-ministerial process in order to obtain the cabinet’s approval. As new FTAs are becoming wider and deeper in commitments than the traditional ones, getting a fresh mandate is not only tedious but could also complicate options to reach the best alternative to a negotiated agreement. Secondly, resources must be allocated to intensify networks with import-intensive rather than export-intensive countries. Unlike Malaysia, import-intensive countries can no longer depend on domestic production due to high cost structure. Malaysia should capitalise on its cost and human capital advantages in order to attract the right foreign direct investment (FDI) and technology transfer needed to propel the country to a higher income level. Its growth model must not only enable the country to graduate from being a knowledge user to content creator, but also from being a volume producer to value-add exporter and from being a foreign-dominated to domestically-driven economy. Malaysia must prioritise future trade deals that address behind-the-border issues. Considering the fact that many competing countries’ tariffs are already at the rock-bottom level, “conventional” FTAs will not necessarily be translated into trade gains or investor confidence. This view is also shared by Professor Ha-Joon Chang of Cambridge University where he argued that “the idea of simple openness succeeding and being closed as bad is quite misleading” in attracting investments. And thirdly, a clear understanding of “who to deal with” and “what to liberalise” will inevitably determine the type of economy the country will become in the future. 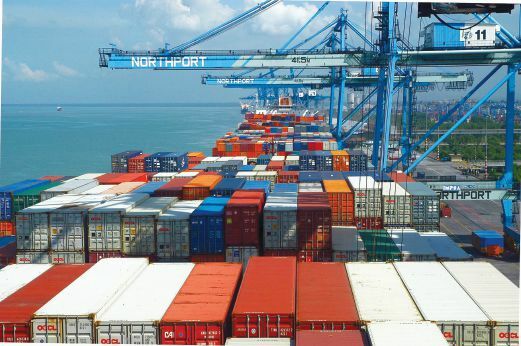 As is, Malaysia’s trade balance is narrowing at the point where natural resources accounted for more than a quarter of the country’s total exports last year. The percentage of manufacturing value-added of GDP is on similar trend since 2000. According to William Maloney, the author of Does What You Export Matter?, argues that there is a lot of heterogeneity in countries exporting natural resources as there is no guarantee that abundant resources can yield high export value. Besides, there are also countries that produce high-technology goods but fail to climb up the value chain due to weak comparative advantage in innovation. Simply put, it is not only a question of “what to produce” but also “how to produce” that define the contribution and value of the manufacturing sector to an economy. In practice, it is always much easier to strike a deal with countries, or a group of countries, that are at the same stage of development as liberalisation modality is often assumed to be organically driven rather than artificially imposed on. Malaysia has little room to boost its growth trajectory via Asean-dominated initiatives, whether via the RCEP or Asean-China FTA upgrade, as they often adopt the lowest common denominator in order to reach a consensus. Conversely, the present form and future prospects of the TPP seem unreasonably ambitious if the “big boys” continue to perpetually spread its members’ resources too thin. The truth remains that there is no one perfect vehicle to steer Malaysia back to its projected growth path. The government must eventually make that political call on taking either the blue or red pill.